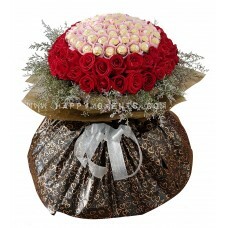 Sweet Forever was designed for a person who wanted to shower his wife with Chocolates and Roses. 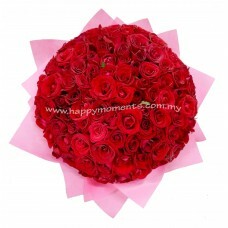 Thus we created a Ferrero and Red Roses Combination. 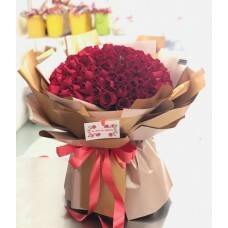 ..
Golden Kiss is a 98 Roses wrapped around a Single Golden Rose, to signify an important person in the middle.Suitable for Birthdays and also as a Propo..
99 stalks of Red and White Roses with Purple Statice, wrapped up in a special way. 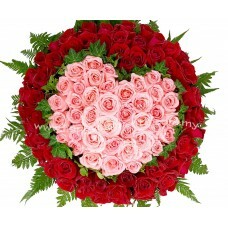 Check out the white colour heart in the middle of the red roses!.. 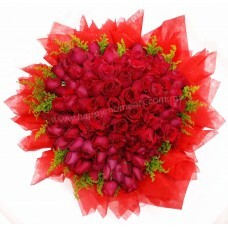 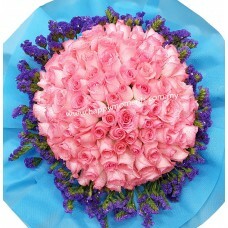 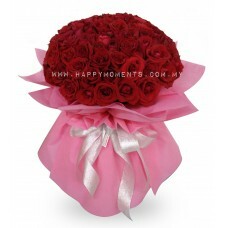 99 stalks of Pink and Red Roses, a romantic way of saying I love you or even for proposal!.. 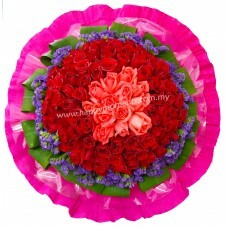 A total of 99 Roses, with Red Roses at the outer and Pink Roses at the inner. 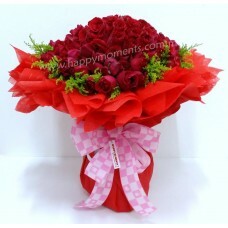 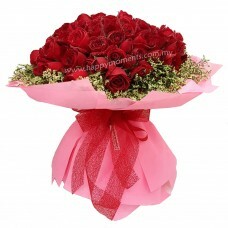 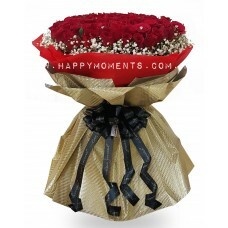 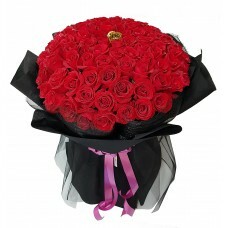 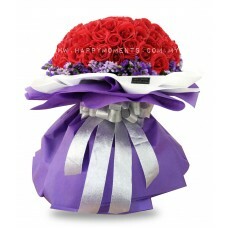 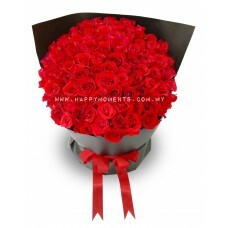 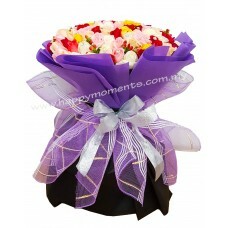 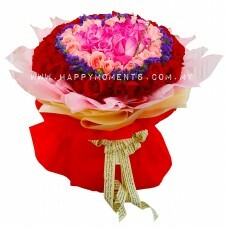 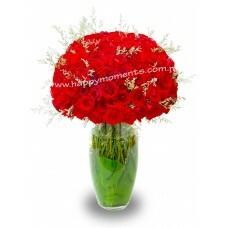 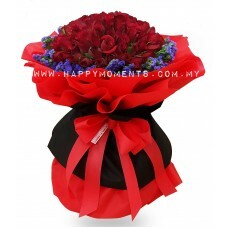 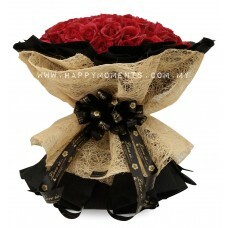 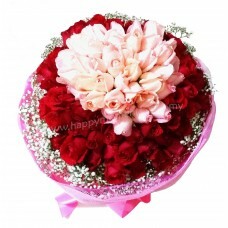 ..
A 99 stalks of roses in RED and ORANGE PINK to your loved one, surprise her today!.. 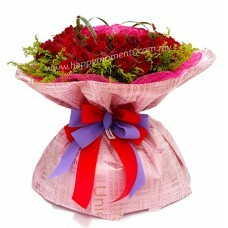 A Colourful Bouquet of 99 Roses. 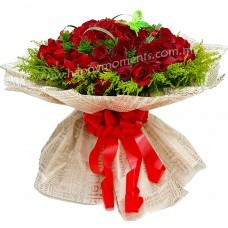 (Diamonds-included)..